In the world of embedded technology, smaller is nearly always better. With limited memory and resources, writing software for embedded systems takes both imagination and discipline. All of this leads to an interesting sidelight: Suddenly, experience is valued. While the software industry is famous for wanting young talent and devaluing experience, that is at least partly changing. A recent article in the IEEE Computer Society's magazine pointed out that software developers are now paying top dollar for programmers who cut their teeth on the old 8-bit computers  Tandys and Ataris and Commodores and Sinclairs. With their 48k memory limits and 90k floppies, those early-'80s computers provided many of the same challenges that today's embedded systems offer. The surprise isn't that there's a portal devoted to embedded technology; the surprise would have been if there wasn't. The About Us tab didn't offer any real info as to who is behind Embedded.com, but it seems a fairly complete hub for finding info on embedded systems technology. In addition to covering breaking news about embedded technology, the folks who run this site also run industry conferences. While PalmOS and WindowsCE get all the headlines, Linux is fast moving from Internet servers and desktop PCs into embedded devices as well. This site is devoted to Linux as an embedded OS, and seems full of useful info and links. As a provider of operating systems and support for embedded systems manufacturers, QNX is one of the more imaginative marketers. For years, QNX has offered a free trial version of their Unix-like QNX OS for the Intel platform  on a single floppy! (They now offer a fully functional version for non-commercial use; download it at get.qnx.com.) This single-floppy demo, which fully replaced Windows on your computer, included a dial-up client, a Web browser, word processor, calculator, desktop GUI, and a half-dozen fonts. All on less than 1.44 megs. In a day and age when Windows barely fits on a 600 meg CD-ROM, the QNX demo is an impressive bit of old-school programming. The BrowserWatch site remains the best place to go to keep on eye on all areas of the browser world. 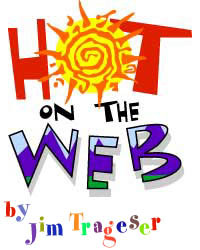 Within their site is a page devoted to web browsers for embedded systems. Detailed and in-depth, one still must assume it isn't complete seeing as the QNX browser isn't included (unless QNX's browser isn't available as a stand-alone product). Still, there are more than three dozen browsers for embedded systems listed and linked to. The list includes info on whether each browser includes Java support, WAP viewing or plug-ins, as well as what kind of requirements the browser has in terms of hardware and/or OS support.